Jessica Poirier-Jalbert is the recipient of the 2014 PGI Learner Achievement Award. “I Don’t Give Up” is a phrase that speaks to Jessica’s courage and perseverance in pursuing her education. Jessica dropped out of school at the age of sixteen, frustrated with her literacy skills and facing obstacles in her personal life. Like many adult learners, the birth of her first daughter motivated her to turn her life around, and continue her education. 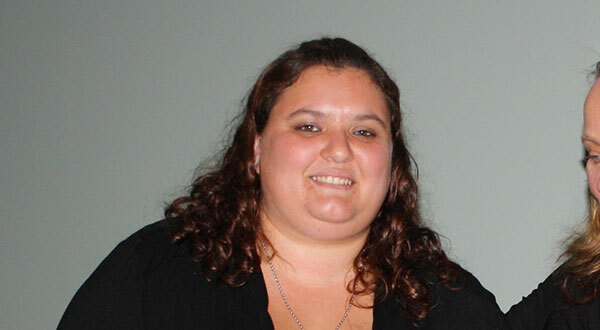 Jessica has been working with Yamaska Literacy Council tutor, Joani Tannenbaum, since September 2012. She continues to improve her literacy skills, and build confidence in the process. Through YLC, Jessica learned about an employability program offered by the ETSB Adult Education. She enrolled in January 2014, and has gained skills and experience in the workforce. Jessica would like to get a job cooking, or working with seniors — she has proven to be a “natural” in both settings! Jessica is a role model for others. Despite challenges in her life, she remains determined to make a better life for herself and her children. Congratulations Jessica! You have a big fan club cheering you on as you continue on your path.